I had a feeling this day would come. One way or another Elizabeth Warren, assailed by critics for her claims to Native American ancestry, was going to need the cold hard proof of DNA. Today is the day. Results she shared with the Boston Globe of a test conducted by one of the world’s leading geneticists show clear evidence of a Native American ancestor 6-10 generations removed, and “strongly supports” the story she and members of her Oklahoma family have been telling for years of a Cherokee woman in their lineage. You can see why Warren might refuse on principle to take such a test. Like the racist “birther” movement wasn’t actually about a sincere desire to see Obama’s birth certificate, the wild rhetoric about Warren has never been about sincere curiosity about Warren’s genes. In a way, agreeing to the spectacle of spitting in a tube and sending it to a lab legitimizes the idea that this was a legitimate inquiry in the first place. A Globe investigation had already shown through exhaustive research and interviews that Warren’s Native American identity didn’t play any role in her rise as an academic celebrity, which is supposedly the allegation at the heart of all this. She has also sought to honestly reckon with Native American groups that have taken issue with her claims. But this issue was not going anywhere, and still probably won’t. What’s implied in this years’ long campaign to get to the bottom of her family history is that, while grandstanding about helping the little guy and challenging predatory big banks and so on, Warren took advantage of a system that gives a leg up to underrepresented groups in higher education—a betrayal of said little guy. It just isn’t true. It wouldn’t have been true even if Warren’s DNA test results had shown no Native American ties whatsoever. So far the overwhelming evidence against the conspiracy theory has not hindered Trump, who continues to double down on it, joking that he probably has “more Indian blood than she does, and I have none,” and continuing to use his crude nickname for her, “Pocahontas,” despite Native American communities asking him to stop. Maybe there are enough persuadable people left in this country that the DNA evidence can bring an end to the controversy. But probably not. 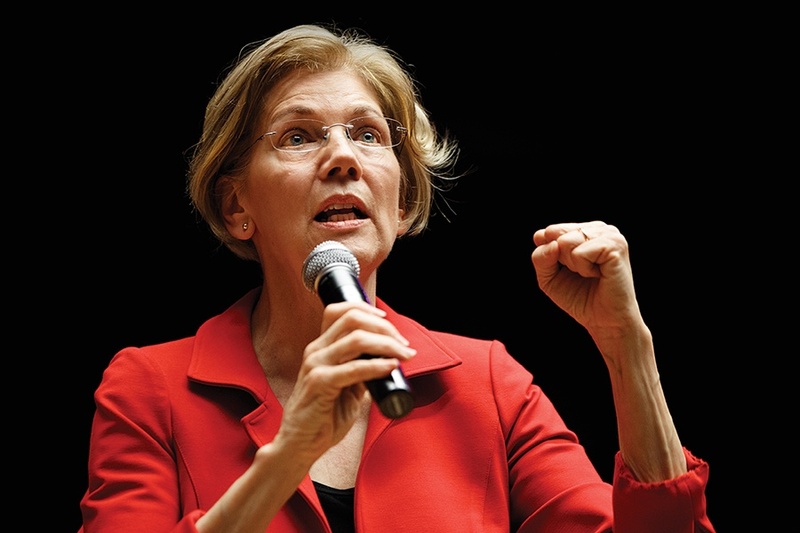 The president will likely argue Warren’s Native American ties are minimal, as they show anywhere between a 1/64 and 1/1,024 portion of native genes, or try to discredit the test entirely, and for many that will be enough. Remember, Trump held on to birtherism long after every serious person on earth had moved on, and still reportedly brings it up privately. He’ll hold on to this one, too. If I were the NIWRC, I wouldn’t hold my breath. And if you think this might bring a swift end to “Pocahontas,” I wouldn’t either.